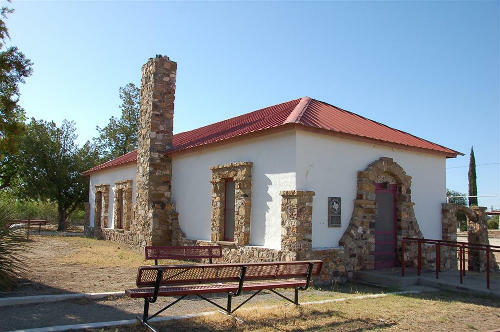 Marathon School, Texas historic landmark, Marathon Texas. 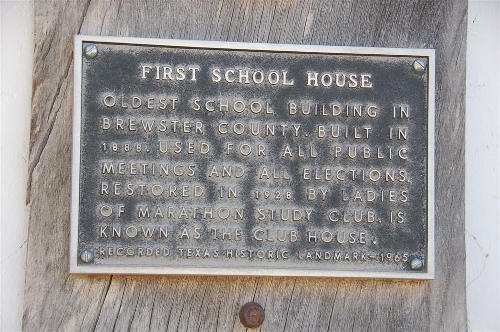 Oldest school building in Brewster County. Built in 1888. Used for all public meetings and all elections. Restored in 1928 by ladies of Marathon Study Club. Is known as the Club House. 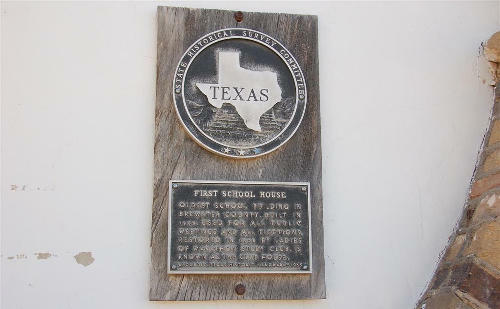 Recored Texas Historic Landmark, 1965.